I'm back to knitting the slipper socks. only, I need to go and buy some. 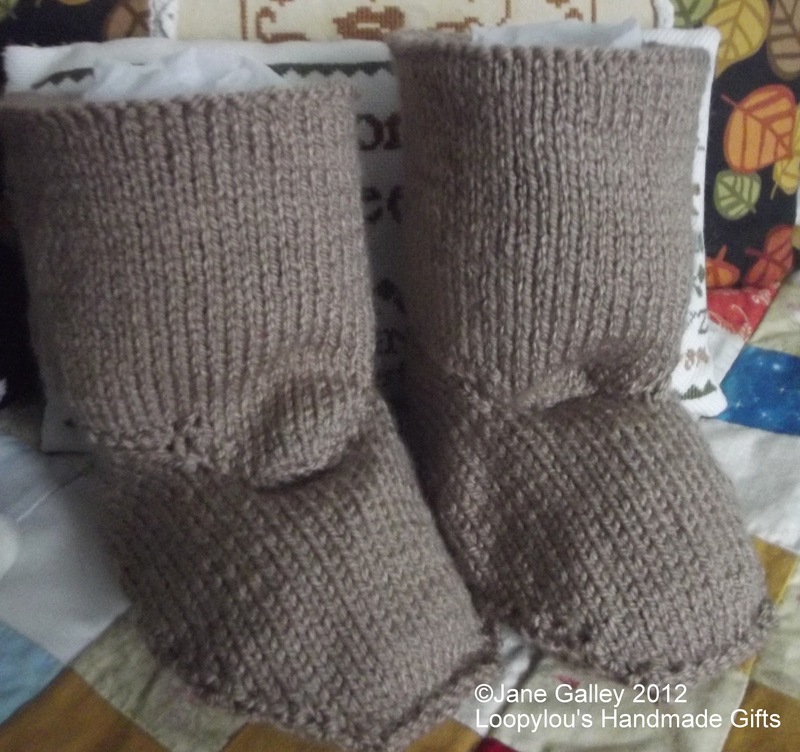 I've got some more wool so I can knit a variety of sizes and styles. The adult ones take a lot longer to knit than the baby ones. 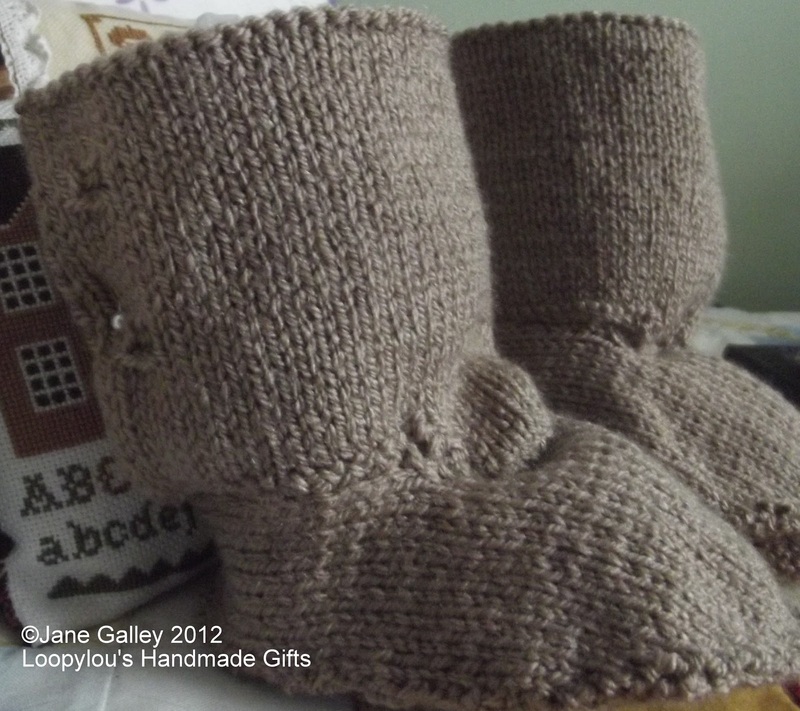 Hopefully, the first adult pair will be off the needles this week. You must knit very fast to get so many things done. I like them too. BTW...did you receive my email? I'm having a world of pain with emails sent to Hotmail at the moment. love them... I needed a pair when I was over there!!! great looking boots for little guys. What style is your favorite?